Discover and explore this beautiful, authentic and quiet part of southern France and enjoy a cozy and comfortable stay at Birbès. Take in all the beauty that this area has to offer, just the two of you. 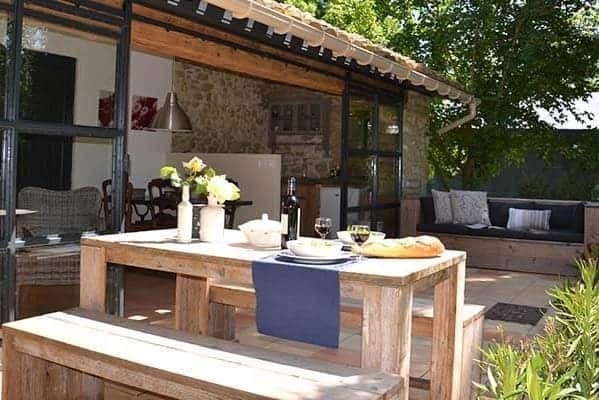 On the Domaine you will experience peace and tranquility and you can stay in the romantic Atelier, one of the comfortable gîtes, or a room or tree house with catered breakfast (Chambre d'hôtes). A few times a week (depending on the season and demand), there is the opportunity to join the table d'hôtes, a cozy, culinary evening with good conversation in a relaxed and homely atmosphere.